ROUNDING THE CURVES of Cub Creek, we make our way to Midway Baptist Church in Old Well, Virginia, for Christmas Eve service. In the cassette deck of my dad’s blue Ford Maverick plays the Kenny Rogers and Dolly Parton duet Once Upon a Christmas. My dad drives. I sit in the backseat, leather seats split and hard, cold upon my rear, a handheld Super Mario Bros. video game in my hand. My sister is to my right singing along with my mom who sits in the front passenger seat. The more the cassette tape spins, the louder they sing, the faster my dad seems to drive—the weight of his right foot increasing upon the gas pedal. In a right-side pew situated roughly at the mid-point of the church, my aunt Kim and uncle Rodney, along with their two sons, Dustin and Corbin, hold a seat for us. Matt Smith’s family is one row up. The Holt family—Lloyd, Wanda, Josh, Megan, and Jenna—will be there, all adorned in slightly matching red sweaters, standing before us in the pulpit. Lloyd will hit a chord and it will begin. As the Holts begin to sing, I do my best to make direct eye contact with Josh. Every year I try to make him laugh in front of the entire church while his family sings together in unison, in red sweaters. He always finds a way to maintain his composure. Jay Tucker stands before the church with a horn. Maybe a saxophone. Jeremiah, too. With a horn. Or a saxophone. I can’t remember. It wasn’t a flute though, I know that much. Someone misses a note. Then another. Then another. My dad is shaking like a bowl full of jelly, trying to control his laughter so that it isn’t audible. He whips out his handkerchief from his back pocket and dots the corner of each eye. My dad lets out a sigh of relief. His face is red, his cheeks shiny and swollen. “Shew,” he says, and with the claps still warm, a touch of laughter escapes his throat. The story of Christmas. A baby. A manger. The pastor will light the first candle. In turn, the second candle will light the third; the third, the fourth; and so on. The congregation joins as the church glows as hands are raised holding candles before them. As we grow older and start our own families, we create anew our own traditions—and I have done just that, here, in Charlottesville, two hours away from where I was born and raised. 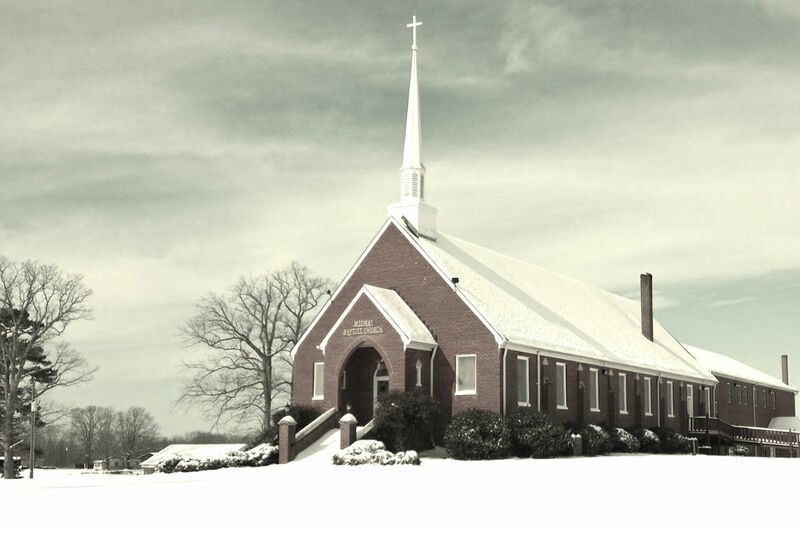 Even so, there will always be a part of me that wishes he was still a young boy sitting in the pew with his mom, dad, and sister at Midway Baptist Church in Old Well, Virginia, on Christmas Eve night. If you enjoyed this or it reminded you of your own family tradition, share the link with your friends and family.